The ceremony's tributes at times stood as an unspoken counterpoint to Trump's leadership; George W. Bush said, "He could tease and needle, but not out of malice"
The nation's most exclusive fraternity — the presidents club — assembled Wednesday to mourn George H.W. Bush, putting on public display its uneasy relationship with the current occupant of the Oval Office. The uncomfortable reunion brought President Donald Trump together in the same pew with past White House residents who have given him decidedly critical reviews. 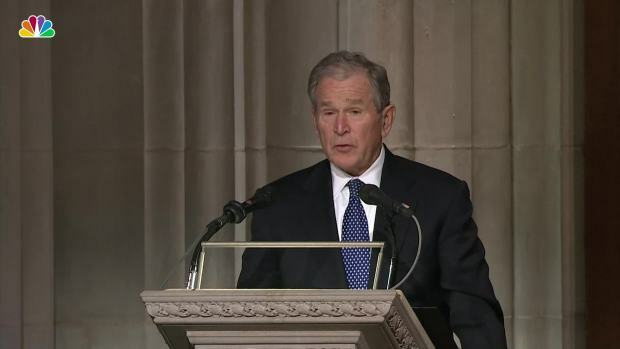 Former President George W. Bush delivered a eulogy for his father, former President George H.W. Bush. But the Trumps' arrival, minutes ahead of the motorcade carrying Bush's casket, cast a pall on the conversation. 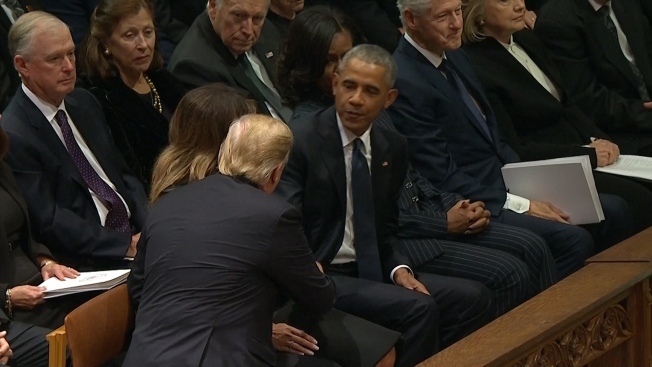 First lady Melania Trump approached first, greeting both Obamas and former President Clinton with a handshake. Hillary Clinton appeared to nod at Mrs. Trump but did not interact with Trump himself and stared straight ahead during the service. Jimmy Carter waved a hand. The president then shook hands with both Obamas before taking his seat. 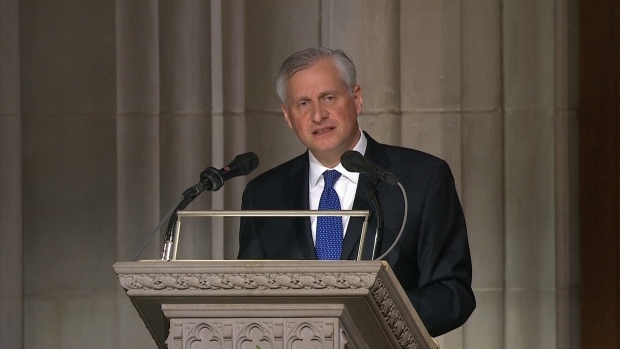 Presidential historian Jon Meacham remembers former President George H.W. 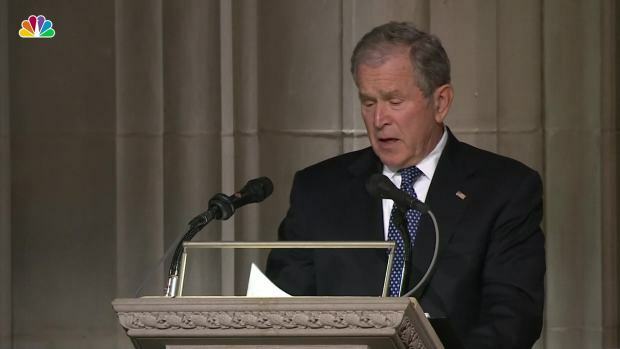 Bush’s code in a eulogy at Bush’s state funeral. George W. Bush shares his final conversation with his father, George H.W. Bush.